Scientology Network’s MEET A SCIENTOLOGIST, the weekly series spotlighting the everyday lives of Scientologists from around the world and all walks of life, announces a new episode featuring professional ballroom dancer Evgeny Raev, premiering December 11, 2018. MEET A SCIENTOLOGIST airs Tuesdays at 8 p.m. ET/PT on Scientology Network. Charismatic and ultra-competitive, Evgeny Raev’s dazzling footwork and sizzling moves have earned him award after award in Latin-style ballroom dancing. From tearing up the dance floor at international competitions, to a turn in the spotlight on Russia’s Dancing with the Stars, to teaching the next generation the magic of ballroom, Raev lives to dance. Evgeny Raev grew up in St. Petersburg in the shadow of the Bolshoi Ballet, but it was Latin-style ballroom dancing—the rumba, the samba, the paso doble—that ignited his passion. A competitive dancer since he was nine, Evgeny has entertained audiences on dance floors around the world. After making a name for himself in international ballroom dance competitions, Raev was invited to participate in the Russian version of the TV show Dancing with the Stars, winning the Audience Choice Award. Evgeny now lives in Moscow where he teaches ballroom dancing to children and adults, while continuing to train and compete internationally. The Scientology Network debuted on March 12, 2018. Since launching, the Scientology Network has been viewed in 237 countries and territories worldwide in 17 languages. Satisfying the curiosity of people about Scientology, the network takes viewers across six continents, spotlighting the everyday lives of Scientologists; showing the Church as a global organization; and presenting its social betterment programs that have touched the lives of millions worldwide. The Network also showcases documentaries by Independent filmmakers who represent a cross section of cultures and faiths, but share a common purpose of uplifting communities. Broadcast from Scientology Media Productions, the Church’s global media center in Los Angeles, the Scientology Network can be streamed at scientology.tv and is available through satellite television, mobile apps and via the Roku, Amazon Fire and Apple TV platforms. Road to Peace captures a day in the life of the Dalai Lama on his final tour of the United Kingdom before stepping down as the exiled political leader of Tibet. In Denmark, a country with a rich literary tradition and the homeland of some of the world’s most beloved writers and poets, a study showed an estimated 700,000 citizens were functionally illiterate. Unbranded follows four young cowboys who ride wild mustangs from the Mexico border to Canada, through 3,000 miles of the wildest terrain of the American West—all in hopes of raising awareness for the plight of America’s burgeoning wild mustang population. Aaron Kyro has combined his dual passions of skateboarding and filmmaking to become an internet sensation. Benjamin Nagengast is living his dream by helping people have fun. From zip-lining to tree-hopping to paintballing, the young entrepreneur has turned his passion for play and adventure into a successful business. 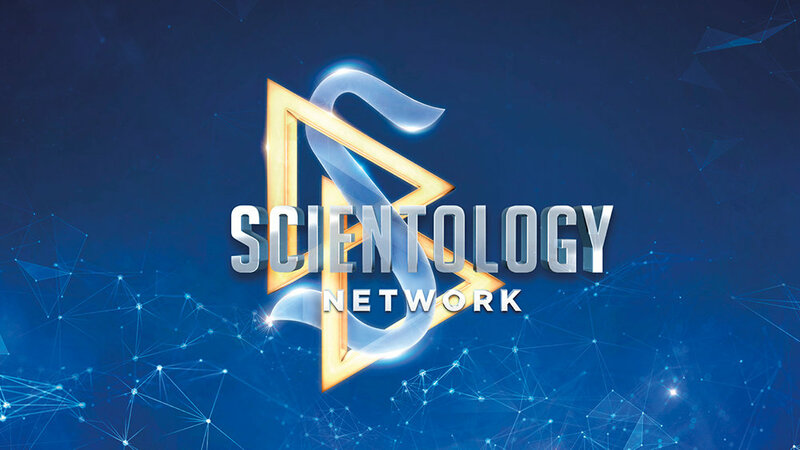 The Scientology Network begins a bold new chapter with the debut of its second season at 8 p.m. on Monday, October 8 with more than 60 new episodes of programming showing every aspect of the world’s youngest major religion and its global humanitarian mission.